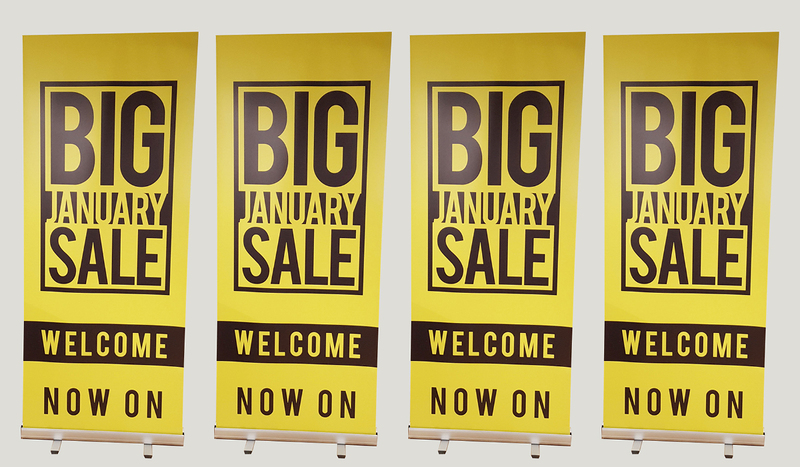 Our economy banner stands are extremely popular. Made from durable anodised brushed aluminium, they are quick and easy to set up and take down which makes them perfect for exhibitions and retail point-of-sale. Sometimes referred to as Pull-Up or Roll-Up banners, you simply pull the graphic up out of the base and hook it over the pole supplied – it’s as easy as that! And to take it down, unhook and let the spring tensioned mechanism roll the graphic back in to the base.